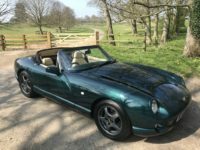 The car was originally supplied to TVR Main Agent The TVR centre, Barnet and had it’s pre delivery inspection 18th April 1992. Car has had 17 service stamps in the service booklet since new, including it’s last which has just been completed in December 2018 by ourselves to a full large 12,000 factory service. 21st March 1999 the vehicle was changed from Ruby Mica (which had a fading issue from the factory) to GTS Blue Pearl with a full and total respray. 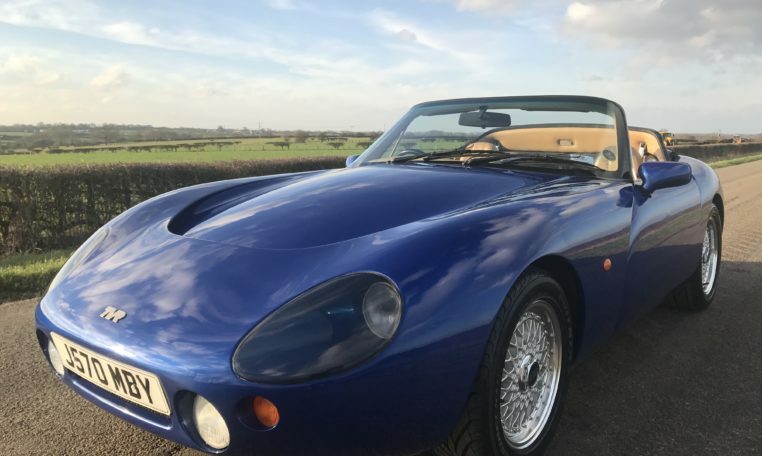 (the TVR factory may have even contributed to this due to the bleaching that occurred on these colours -Listed correctly and DLVA informed. The car has had the following done to the engine , originally a 4000cc pre cat from the factory the car was taken into TVR power in June 2002 @ 43540 miles and had a full engine (which is detailed in the service history) @ TVR power. The car has only covered some 25640 miles since this. This particular bill was £4553.56 and was exactly as TVR power would have done for the factory on a original 4300cc Big valve. The bill details a 4300cc camshaft, big valves fitted, machining of all pistons, ECU chip, oil pump shaft and gearing upgrade, big end bearing , ported heads and manifold and hydraulic lifters,, also at the same time all the clutch unit was upgraded to the better 5000cc unit with revised plate and cover. 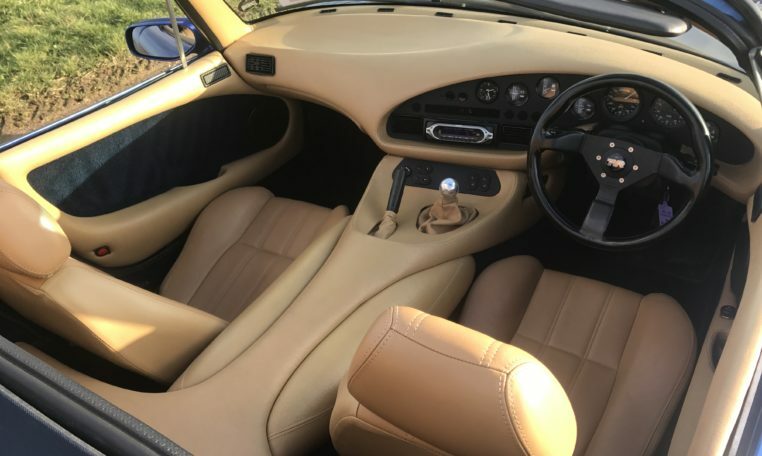 Car had been looked after by the Offord TVR, Serbring TVR, Melbourne Garage and the owner in this period of 12900 miles , various receipts and upgrades included in the history file on upgrades and items attended to. We purchased the vehicle 16th June 2013 – 60400 miles, it was registered in our name to remove a private plate we paid for on the car at the time SXV 448 and car reverted back to original factory J570 MBY plate which it still wears today. Vehicle has only 4 owners (including current owner we purchased the vehicle from and ourselves for a month to take the registration off) – this is brilliant for a 26 year old vehicle. 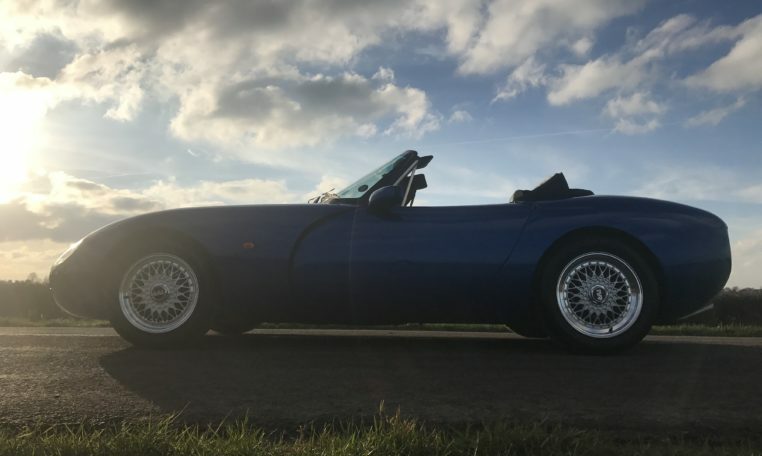 We purchased the vehicle, prior to selling it to it’s last owner a keen flyer (who aircraft is actually partially the same colour as his TVR was!) 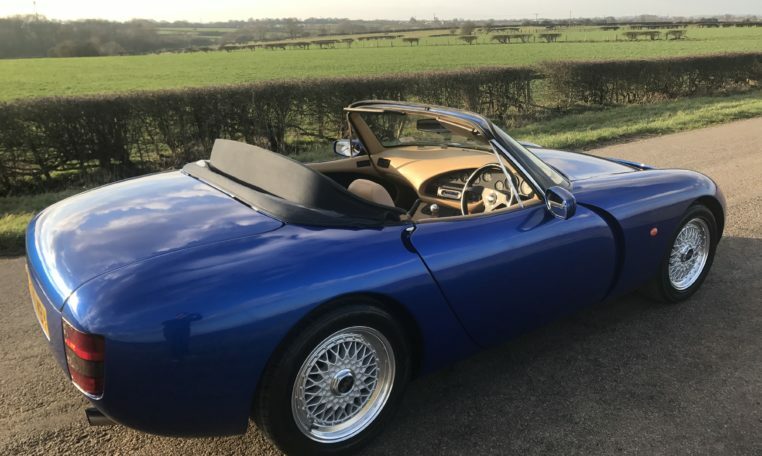 in his mid 60’s who has a 5 year old child now and is unable to use the TVR any more really and has to buy some sensible vehicles now it seems! Although there were no holes its nearside outrigger it was paper thin in the corner, so we had both out riggers fully replaced on either side by Carzima TVR , Bodyshop, Melton Mowbray (we have used them for TVR work since 1997 and they still paint and repair many of our TVR’s) – Invoice in file dated 5th July 2013. 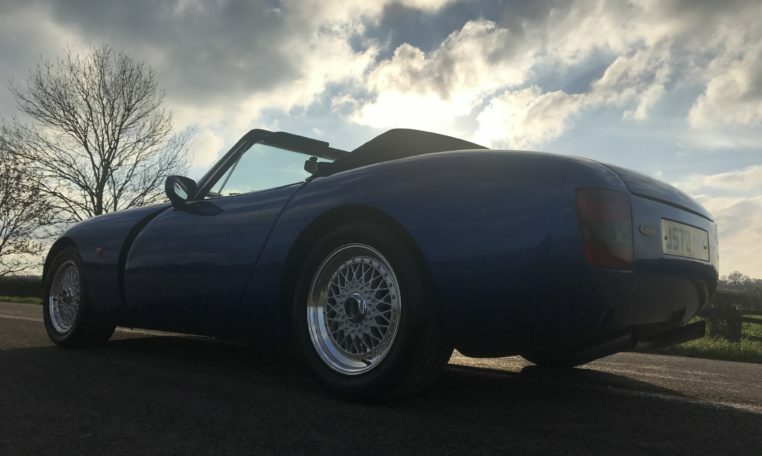 December 2018 we have purchased the car outright and own it, not putting our name in the registration document this time, the car is based at our workshops currently and has just gone up for sale. Car drives very well and will come with a full 12 months MOT prior to sale, next service is a 6k in 12 month or 6000 miles time. HPI clear and comes with two keys and alarm remotes.